One of the items of news that may have shot by you recently is that Molson Coors is pumping enough money into the Cornish economy to boost capacity at Sharp’s brewery to a potential 350,000 barrels a year of Doom Bar ale, a 40% expansion. There is no guarantee it will be able to shift that amount of what is already the UK’s biggest-selling cask ale, of course. But if it did, that would mean Doom Bar had become a brand one tenth the size of Carling lager. That might not sound much, but blimey, there’s not been a cask ale brand with that kind of clout in the market for decades. It would be fascinating to know what all those drinkers of more than a million pints of Doom Bar a week think the beer actually is: do they believe they are drinking “craft beer”? Do they know it actually comes from one of the biggest brewers in the country? 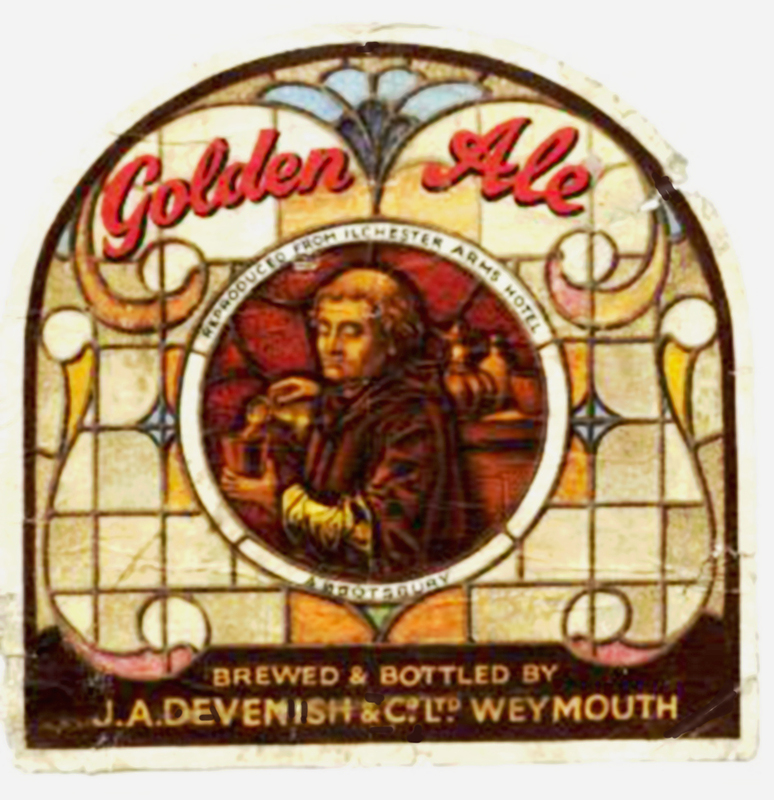 It’s also an interesting question as to whether any other cask ale brand, even with the weight of Molson Coors behind it, could ever have contemplated looking at potential sales that recall the heyday of Draught Bass, even in an era when cask ale drinkers may be entitled to feel more optimistic than they have been able to be for almost two decades. Has Doom Bar’s popularity any connection with it coming from the village of Rock, described by the Daily Telegraph as “the Kensington of Cornwall”, populated during the summer by affluent teenagers staying at their friends’ multi-million-pound holiday homes, and surrounded by expensive Michelin-starred restaurants owned by big-name chefs? Plenty of Rock’s affluent young visitors will be drinking in the Mariners, the pub owned jointly by Sharp’s and the celebrity chef Nathan Outlaw, and Doom Bar is likely to be the tipple for many. Does that at all put a halo on the beer that helps it rise to sales levels effectively unheard of for a single cask beer brand? Draymen, by George Cruikshank. Note the chequers on the doorpost, an indicator of a public house. Well, probably not, but it is certainly the case that you are indeed much more likely to find the young and affluent drinkers who flock to Rock to meet mates (and mate) drinking cask ale than you would have even ten years ago. As the latest Cask Report revealed, a third of all 18-34 year-olds have tried cask. And it’s not that they have tried it and walked away back to Carling or Peroni vowing “never again” – of all those who have ever tried real ale, 86% still drink it to some extent. Nor is it just young men trying out real ale. A third of all female alcohol drinkers have tried cask – and, again, 75% of women who have tried cask still drink it. Sadly, this fact seems not to have penetrated deeply into the trade. Even among licensees who stock cask ale, two out of five think women don’t like cask ale. Male cask ale drinkers are considerably more liberated: four out of five think women DO, indeed, enjoy a handpulled pint. I’m pulling these plums from the 2014/5 Cask Report (on which Pete Brown has done his usual terrific job) because they tend to be overlooked in the rush to plaster up the headline items, like the call to raise the price of cask ale to bring it more in line with the prices being charged for craft keg beers. It is not, in fact, a new phenomenon that cask ale, one of the glories of Britain, at its best a sublime celebration of the marriage of malt and hops, is sold too cheaply. In the early 1970s, Carlsberg draught lager in London cost 18p a pint, while cask ale was 13p a pint or so: a 28% price differential. By 1984 the difference was less but cask ale, at 72p, was still cheaper than lager, at 81p. Today cask ale is only is around 6%, or 20p, cheaper than draught lager. 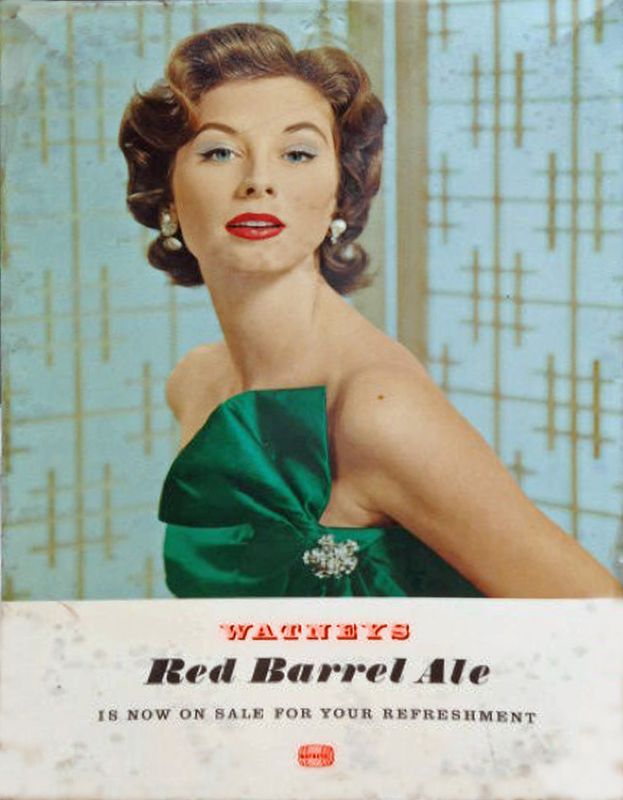 But if draught lager can no longer command the massive premium it once did, “craft keg” is being sold for premiums vastly superior to anything the early Carlsberg marketeers ever dreamed of. The same drink has been spotted in the same North London “craft beer bar” for £3.50 from a cask and £5 from a keg. Not all craft keg is that expensive: the average in the UK now is £4.04 a pint, although some, particularly if it has been imported from the United States and it’s up at the top end of the abv range for a draught beer, say 9% and above, will be in excess of £7 a pint. But that is against an average price for a pint of cask ale of just £3.19. Worth a premium over cask ale? To quote from another segment of the Cask Report: “Premium bottled ale is almost twice as expensive in the off-trade as premium lager, and yet sales are growing faster, despite a wider growth of interest in budget and value brands. People are prepared to pay more for interesting, flavourful beer, and expect to do so.” Well, quite. But the point about bottled beer is that it’s almost 100% reliable. If it’s tasty and interesting as well – that’s worth paying extra for. The report declares: “The current price differential between cask ale and ‘craft keg’ beer damages both the image of the former and the sales of the latter.” But it’s hard to see how the high prices being charged for craft keg are damaging its sales: pubs and bars are pretty good at charging what the market will bear, and the market, particularly in London, seems happy to bear £4.50 and upwards a pint and more for the perceived benefits of craft keg, those benefits being (a) flavour and interest without (b) any risk of your pint being undrinkable. The problem is not that craft keg is too dear, but that cask ale is too unreliable, and what damages the image of cask ale is not its perceived cheapness but its perceived risk. Lower the risk, and pubs will be able to charge for cask ale what they are currently charging for craft keg – more, indeed, since it’s almost always, all other things being equal, a superior product. Fortunately the trade recognises this, and the excellent work being done by Cask Marque in raising the standards of cask ale at the point of delivery is now being expanded upon with the launch of the Cask Matters website. Already, the second most looked-at item on the site is a video on looking after cask beer in the cellar from Peter Eells, head brewer at the Yorkshire brewery Timothy Taylor’s. There looks to be a mass of other help and information on the site, from offers of free online training on looking after cask ale to a CD called “A Bar Person’s Guide to Real Beer” to links to Beer Academy courses to downloadable comprehensive what-to-do lists on everything from line cleaning to glass care. As Pete Brown said at the launch of the latest Cask Report, when he brought out the first one in 2007, his job was to try to convince the industry that cask ale wasn’t dead. Today cask beer is sitting in the middle of what Brown correctly called a beer revolution, with three times the number of breweries in operation now than were operating at the Millennium. But if pubs are really going to benefit from that, they need to tackle the issue of poor quality. 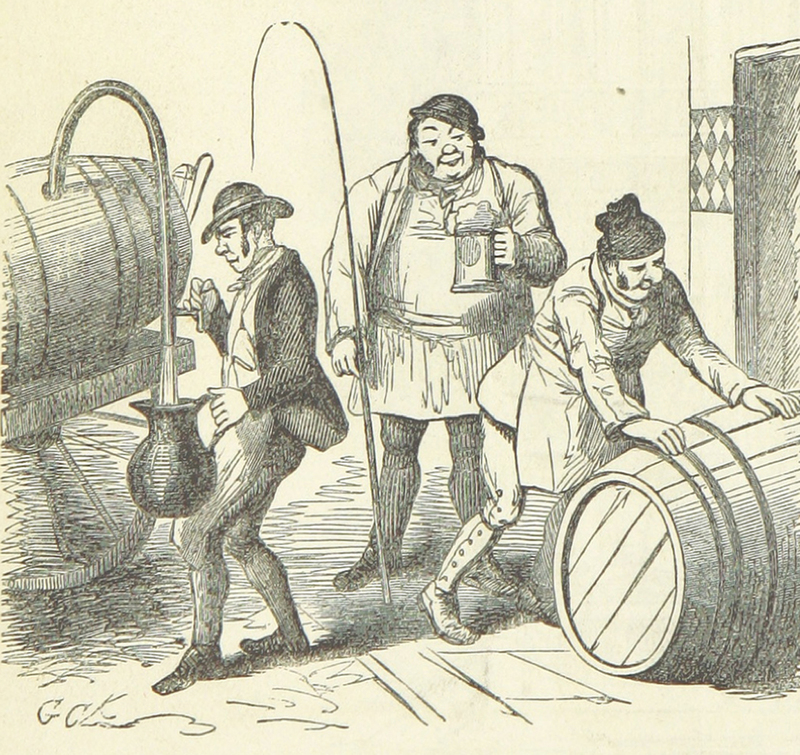 Hopefully, initiatives such as Cask Matters are giving them the tools they need to do that. Unfortunately, one’s hopes are undermined in the section of the Cask Report that covers drinkers’ perceptions of how much training bar staff get in cask ale, compared to how much training licensees said they gave their staff. Edited highlight: Publicans think their staff get a lot of training in looking after and serving cask ale; drinkers don’t. 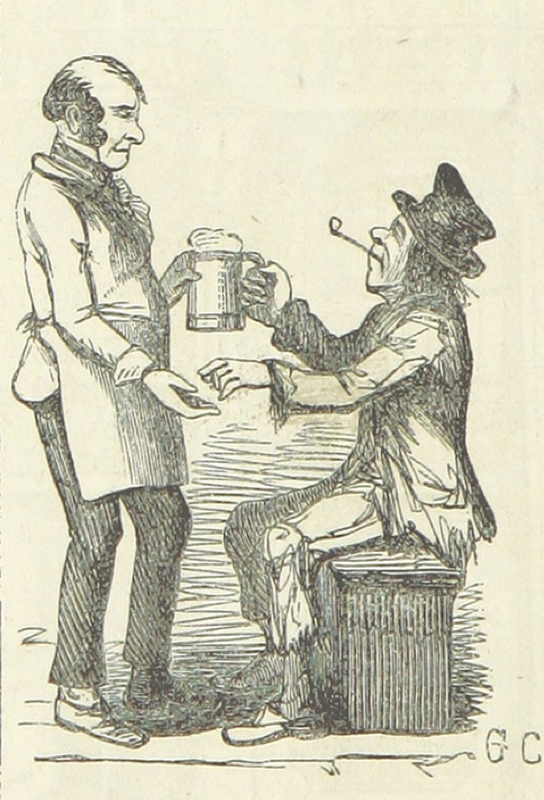 Barman and customer, by George Cruikshank. Did the barman receive training in serving cask ale? Nine out of ten licensees said staff get training in what to look for in a good or bad pint. Less than half of cask ale drinkers believe this to be the case. Two thirds of licensees say staff get training in how to look after cask ale in the cellar, with half saying staff get a lot more training in cask ale than with other kinds of drinks. Again, less than half of cask ale drinkers believe this happens. Four out of ten cask ale drinkers, indeed, believe bar staff get hardly any training in cask ale, while only one in 16 licensees say training is that poor. Two thirds of licensees say staff get training in different styles of cask ale. Barely one third of cask ale drinkers believe this happens. The report says: “There are only two ways to explain the difference in perceptions of training … either publicans are deceiving us (and perhaps themselves) on how much they care for cask, or drinkers don’t realise how much care and attention goes in to presenting the perfect pint.” Actually, there’s a third, and one that seems to me to be easily the most likely – that drinkers see little evidence their side of the bar of all the training publicans say goes on, because they’re getting too many poor pints, served to them by bar staff who aren’t knowledgeable about the product. The fear has to be that landlords will persist in thinking their staff (and they) know all about cask ale and don’t need the help of Cask Matters, while the evidence from the customers’ side of the bar continues to be that they don’t. There are plenty of other important findings in the report. For example, landlords and drinkers are still in disagreement over how often the line-up of beers on the bar-top should be changed, with drinkers much more conservative than the trade. The report repeated the findings from last year, that among all drinkers who have ever tried real ale, 56% want to see a selection that changes every month, and only 20% want a selection that changes every week, while 15% want to see the same beers on the bar all the time. Publicans, however, believe they should be rotating guest beers once a week. The report also found that the cliched image of cask ale drinkers is commoner among licensees than among cask ale drinkers themselves: Two in five publicans actually stocking cask ale still think that most cask ale drinkers are middle-aged men with beards and sandals. Only one in five of male cask ale drinkers think that. Drinkers and publicans also disagree about what promotional activities work for particular beers: 81% of cask ale publicans back staff recommendations, against just 58% of cask ale drinkers, while 51% of drinkers are attracted by seeing brands at local beer festivals, while only 24% of landlords think this effective, and 28% of drinkers like seeing food matching suggestions on menus, while only 10% of landlords go for this. Nobody likes beer mats: just 5% of drinkers and 9% of landlords think they are an effective promotion. Another interesting difference in perceptions is that among cask-stocking publicans, 74% think serving beer in the right branded glasswear is “quite important” or “very important”. Only 53% of cask ale drinkers feel the same, while 47% couldn’t give a stuff. Half the number of drinkers, just one in five, think branded glasswear “very important” compared to publicans who feel the same. On the often heated subject of the definition of “craft beer”, among both cask ale drinkers and publicans stocking cask ale, six out of ten say it means “beer from a small brewer”, and half of each thought craft beer had to be “a beer you don’t find in many places”. Only one in five of cask ale drinkers thought it meant “very hoppy, American-style ales”, against a third of cask ale-stocking landlords, and just one in 20 cask ale drinkers and one in 13 cask ale-stocking landlords thought it meant “any cask ale”. Whatever the definition, while cask ale has a 16% market share of total on-trade beer, “craft beer” in other, formats (keg, bottle, can) scores only 2%. The report is also interesting in what it reveals about attitudes to the Campaign for Real Ale. Among cask ale drinkers, 6% said they were Camra members: all of 37% of cask ale-selling publicans carry a Camra membership card. Only 2% of cask drinkers said they didn’t like Camra, against 5% of cask ale-selling landlords. Almost half – 47% – of cask ale drinkers said that while not members, they admired what the organisation did, against 36% of cask-selling licensees who felt the same. Nearly as many cask beer drinkers, however, 45%, said they had not strong feelings one way or the other about Camra, a feeling shared with almost a quarter, 23%, of landlords. If even among cask ale drinkers, 47% are indifferent to Camra or opposed to it, you have to wonder about the organisation’s claims to be “the leading voice of beer drinkers in the UK”. Or to spin the CAMRA figures another way – if 98% of cask drinkers either admire or at least do not oppose CAMRA then its position as the leading voice of beer drinkers seems secure. Well, no. That might allow you to claim CAMRA as the “leading voice” of ” cask ale drinkers” rather than of beer drinkers. And isn’t that a problem in itself? You’re cool with this kind of misrepresentation then? OK. I think to call it misrepresentation you have to show that there’s a better candidate for “leading voice of beer drinkers”, and that CAMRA know it. No, all I have to show is that “cask ale” != “beer”. Otherwise you’d as easily call them the leading voice of cheese eaters, there being no significant consumer group speaking for them, either. Except that cask ale (unlike cheese) is a subset of beer. If CAMRA were explicitly claiming to represent *all* beer drinkers you’d have a point. No, you’d have a point if they were claiming to speak for *some* beer drinkers. Also, cheese is (like beer) an ancient food product that’s had a resurgence of artisanal production against a backdrop of industrial standardisation. But without the benefit of a noisy consumer group claiming credit for it. “Premium bottled ale is almost twice as expensive in the off-trade as premium lager” Wouldn’t this depend on what is considered premium lager? The bottled ales are little different in price from the Bitburgers & Staropramens, although pricier than your Stella’s and Carlsberg Exports. On Doom Bar, there is another interesting relativity. If it is (or rather, planned to be) as you state, 10% of the size of Carling, that means that Carling has declined by apx. 42% in 7 or 8 years. I doubt they’ll meddle too much with Doom Bar if it’s plugging that sort of hole. Well, I think my figures are a reasonable approximation of Carling’s current sales, but that’s a state secret, or course. The gossip I heard was Carling is >5M bbl pa.
Once upon a time Ed. Training of bar staff is crucial. Frequently I will ask what sort of beer is (insert name of beer). Is it dark or light? And the blank stare and the look of panic says ‘I haven’t a clue what you’re talking about’. Recently, in a pub listed in the Good Beer Guide, I was told ‘the barrel is empty but you can have smooth’! Training is vital. The prices you quote leave me speechless. Premium cask ale in a GBG listed pub near us (Greater Manchester) is £2.50 with 10% off for Camra members – and it’s not exceptional! The non-premium stuff is £2.40. But Carling still tops £3. Martyn, Would the backlash from CAMRA be so great if pubs with slow moving cask ale installed cask breathers to blanket the beer in CO2? I realize this is no substitute for proper training of staff, but it could conceivably cut down on the oxidized and vinegary pints that seem to be such a problem? Heck, what do I know. . . I’m just a Yank (actually a Texan). He recommended the cask breather! Stone him! Stone the heretic! Actually, Scott, yes, of course, you’re right, but the Camra Taliban would never allow it to happen. In prectice I think that many CAMRA branches take a “Don’t ask, don’t tell” approach to the cask breather. Ha! Very pragmatic! I’d rather have a little heresy than oxidized or vinegary beer, myself. To each, their own, I guess. . . I think the story of craft keg pricing is very simple: bars (and brewers) set prices at the highest point the market would bear, and – craft keg being a novelty with a substantial fan base – that point was pretty high. What I would say is that (in my experience) keg beers are invariably blander & ‘tidier’ in taste than their cask counterparts, and sometimes that’s what you want: you don’t always want a beer that will pin your ears back and re-educate your tastebuds. Also, of course, a lot of beers these days – particularly the more way-out experiments and short-run brews – aren’t available on cask, so you pay a keg/bottle premium or you don’t get to taste them. I’ve also got some minor nitpicks, but I’ll put them in another comment. Phil, I agree with you on the (in my opinion) improving consistency of cask. I frequent some pubs now which have, in my opinion, a worrying extensive range of hand pumps, but rarely have I had to return anything. Small sample of course. However, I feel one issue that is rarely mentioned today is the way some cask beers are being prepared for sale: some very notable and sizeable cask brands are effectively filtered to the point that pasteurisation wouldn’t have any benefit anyway. As a result, the are almost as easy as legged beer to handle and, more importantly, yields from the casks are higher. No names, no pack drill. Clearly that should be ‘kegged’ beer, but spellcheck seems to disagree! I think on cask consistency, beer enthusiasts & CAMRA types become a self-selecting peer group. A small number of pubs are identified as the best places to go, get in a beer guide, and become the places that occupy 90% of the peer groups’ custom. Quality is always bang on, choice is always extensive. The pubs know their market & serve it well. 90%+ of pubs in the area are largely ignored. Thus the knowledgeable (regarding local market conditions) beer geek enjoys a good quality experience for his money. The unknowledgeable casual drinker notices a far more variable quality experience. Not being a beer enthusiast and primarily interested in socialising with friends chooses a consistent drink that slips down easily in a pub chosen for reasons other than cask beer quality/choice. Spot on cookie. When I’m on a general jaunt around pubs I reckon the chances of getting a good pint (i.e. well conditioned, not off) of cask about 50%, an ok one (a bit flat or warm etc) about 35% and 15% are crap. It takes quite a lot of dedication to keep having something when about 1 in 6 times it will be rubbish. God, I hope not! Presumably ‘craft keg’ here means something like Jaipur rather than a 9% Smoked Banana Saison from Three Hippies In A Surf Shack, which is always going to command a scarcity premium (scarcer the better if you ask me). Even so, it’s not – pardon me for stating the obvious – in the interests of beer drinkers that cask should cost £5 a pint instead of £3. And I think market forces would make it a very difficult sell for the pubs, unless they all magically jumped together. Whatever the definition, while cask ale has a 16% market share of total on-trade beer, “craft beer” in other, formats (keg, bottle, can) scores only 2%. “Whatever the definition”? How do you measure something if you haven’t defined it? If even among cask ale drinkers, 47% are indifferent to Camra or opposed to it, you have to wonder about the organisation’s claims to be “the leading voice of beer drinkers in the UK”. Not really. If another organisation comes along which has the support of more than 53% of cask ale drinkers, then CAMRA will no longer be the leading voice, etc. Less than a quarter (23%) sell a traditional mild (boo!) and only one in five (20%) a strong mild or old ale. Fewer than one in ten (9%) make a strong ale or barley wine, which surprises me, and even fewer, just one in 20 (5%) brew a stout or porter. It makes you wonder if they’re not brewing these beers because, maybe, they don’t sell so well? I’ll put in a motion to the next CAMRA AGM, to the effect that they should dissolve the beer-drinking public and elect another. i used to drink doombar but when they got bought out they changed it slightly so it wasn’t as good. i think that is a shame.